It’s Wednesday again so that means Freshly Made Sketches has a new sketch for you to play along with. 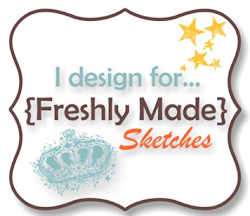 This week the lovely Jennifer Brum has designed our sketch and it’s a great one. The design team have created fabulous inspiration for you this week – head over to the challenge and check their cards out. Oh I love polka dots and your flowers look fabulous against them! So pretty! This is what I call CAS, Narelle style! Beautiful as ever! Beautiful! I love those pretty, soft pink flowers against the black background. I sure hope this set doesn’t get retired! This is so gorgeous, Narelle. 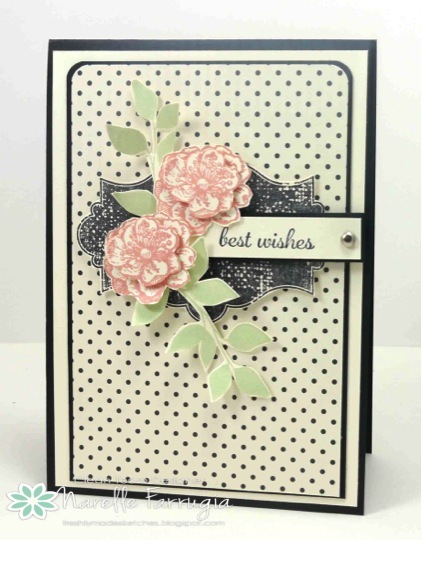 I love the Modern Medley polka dot print, and the combination of stamp sets you used is perfect. Love those beautiful layered flowers with the shape from Everything Eleanor. WOW,so beautiful Narelle!!! I love the polka dot paper,the beautiful flowers and leaves!! Stunning card!! 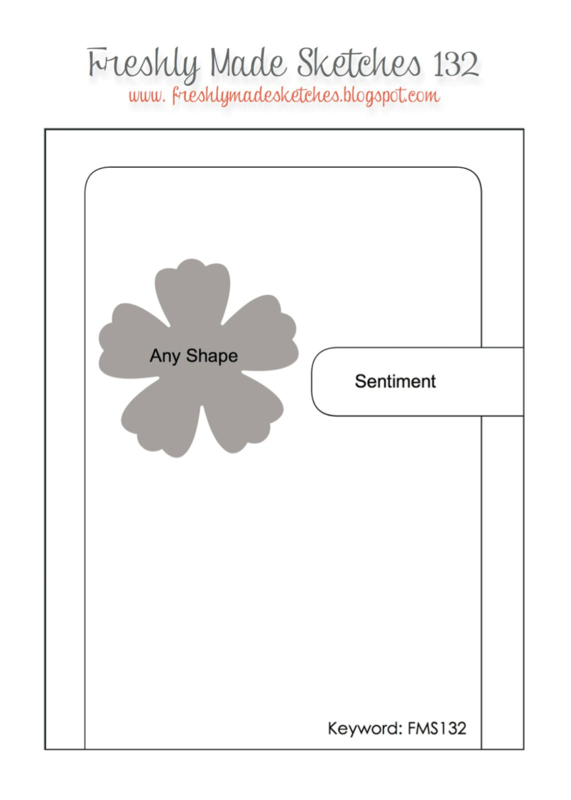 Wow, that polka dot paper really makes your design elements really stand out. Fab card! Such a beautiful card Narelle! Those flowers are just perfect and the polka dot paper looks divine! As always I love the layers!